Is your closet full, but you have nothing to wear? Do you love the season’s emerging trends, but struggle to make them work for you? Perhaps you need an outfit for date night, that new job interview – or you’re a new parent looking to remain on top of your style game. Rediscover the fun in fashion with Bayshore’s Personal Styling Program. In your one-on-one Personal Styling Session, a member of our Bayshore Style Team will teach you what to wear and where to find it. Discover the pieces to suit your personality, your silhouette, and your lifestyle. In doing so, you’ll be giving back to your community. 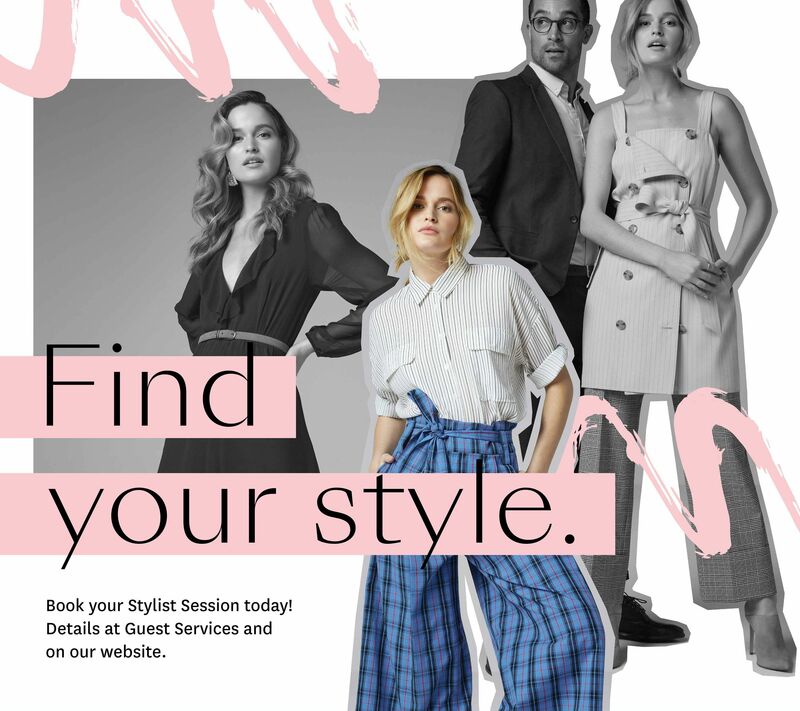 A two-hour Personal Styling Session can be reserved with a $20 cash fee, and all proceeds will go to Dress for Success Ottawa, empowering women across the National Capital Region. Your session will be customized to fit your needs, budget and individual style, and there is no pressure to buy. Your personal style session will begin with a brief on-line questionnaire. The stylist of your choice will then know a little bit more about you and your needs for the session. She will then select a few stores that will suit you and your budget. Once this is all established, she will guide you through the centre for two hours. She will focus on the colours, trends and silhouettes that work best for you. Just remember that when you invest in your style, it elevates every area of your life. And you’ll never look back! Book online now. See below all availabilities. Our Stylists will respond to you to confirm your booking.